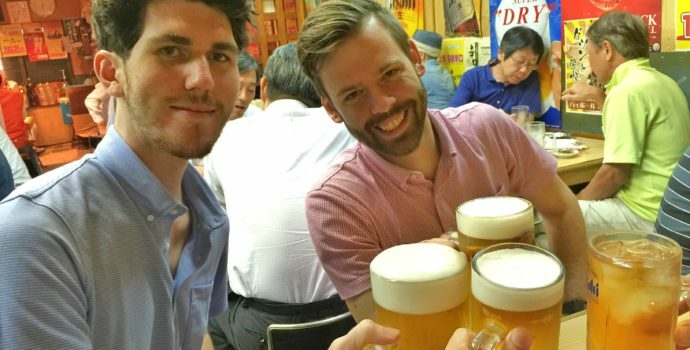 Start your adventure with a check-in into your Tokyo accommodation, an orientation meeting, and get to know your new friends with a night out full of dining and drinking on Day 1. Tour the city on Day 2 with a fire ceremony in a temple. Take a train to Hakone on Day 3 and continue to Nagano by bus on Day 4, where you will visit the famous snow monkeys. Begin Day 5 by travelling to Takayama, stopping at the Matsumoto Castle along the way. Visit the local market and a sake brewery on Day 6 before taking a bus to Kyoto on Day 7. Discover the gems of Japan’s cultural capital with a full-day tour on Day 8 and discover incredible Nara on Day 9. 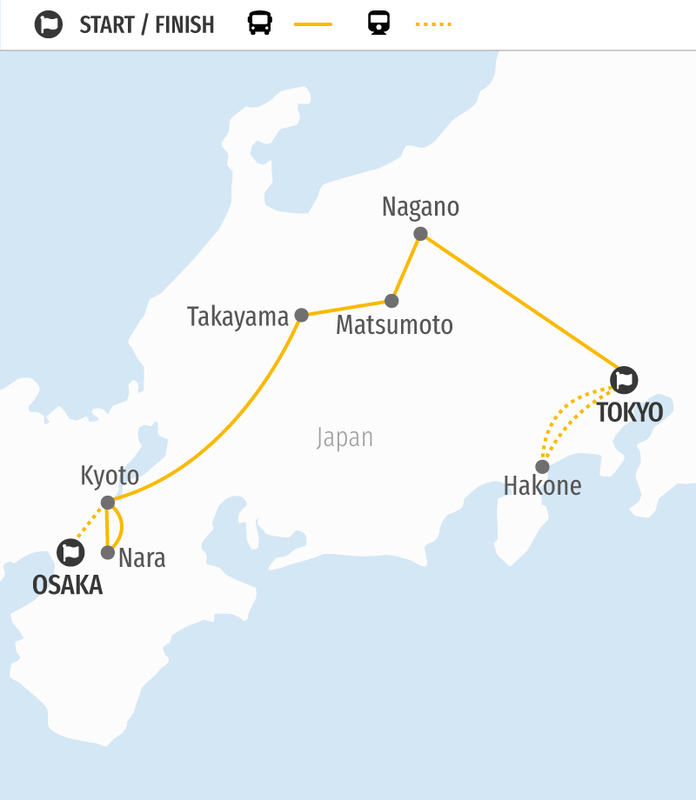 End your adventure on Day 10 with an express train to the Osaka airport. Konnichiwa and welcome to Japan! Today you will arrive in Tokyo and make your own way to your accommodation for check-in. Meet your group and Chief Happiness Leader in the lobby at 5pm for an orientation meeting. In the evening head out to celebrate your first night in Tokyo in style with an evening foodie and bar hopping tour! Explore the back streets of Tokyo like a local by dining and drinking in some of the city’s many hidden izakayas. 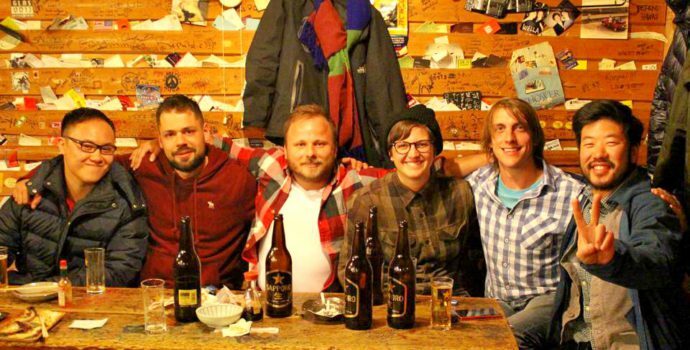 We’ll be heading into areas that few foreigners ever get to discover to crowd into small pubs with Japanese salarymen as they unwind from their day with a few drinks. Get ready for an authentic experience! Menus will be in Japanese, but your Bamba Happiness Leader will help you navigate through delicious samplings of yakitori, tofu, sashimi, locally-braised chicken, fresh vegetables cooked in Japanese style and pickles to spice it up. You will also have the opportunity to try Japanese spirits like beer, sake or shochu. Overnight in Tokyo. Today we will visit a Buddhist temple founded in 1703, located in an old and historically-rich part of Tokyo. Explore the inside of the temple before getting up-close views of a purification ceremony. The ceremony features powerful drumming, chanting, and even a bonfire. Next we will visit the Sensoji temple, where locals come to get blessings and pray for the health and welfare of their families. Then, head to visit the beautiful Meiji Shrine. 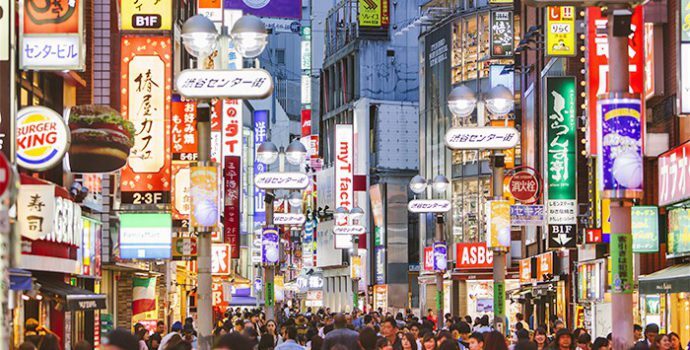 After discovering the spiritual and historical side of Tokyo, it’s time for a little pop culture with a trip to eclectic Harajuku street, a trendy and colourful area full of young people and cute little shops. Tonight head into the maze-like streets of Shinjuku’s Golden Gai, packed with hundreds if not thousands of tiny bars and pubs for a drink (at your own expense) and a nightlife experience you can only get in Tokyo. Overnight in Tokyo. 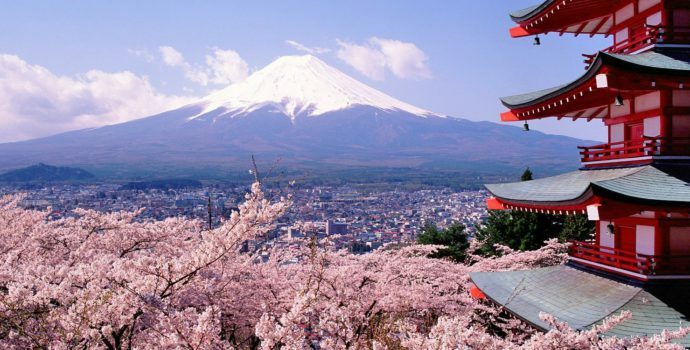 Take an express train about an hour from Shinjuku station to Hakone National Park, an area known for its geothermal activity and beautiful landscapes. If you wish to purchase a Hakone transport pass (at your own expense), today you will be able to take advantage of numerous forms of public transport to explore the area, including buses, boats and a cable car. Start with a cable car and ropeway ride to Owakudani, an area of colourful, bubbling hot springs, steam vents and more, where you can catch a glimpse of living Earth. Next take another ropeway to nearby Lake Ashi, where you can admire the stunning view of Mt. Fuji. From here you’ll board a “pirate ship” to the Moto Hakone port, where you will catch a bus to Hakone-Yumoto station. In the late afternoon, board the express train back to Tokyo. After a long day we will enjoy a simple dinner (at your own expense) near the accommodation at one of the many local izakayas or ramen shops in the area. Overnight in Tokyo. Today we have an early start and travel around 4-5 hours to Nagano on a public bus. We’ll make our way on another 45-minute bus ride and then a 35-minute walk to one of Japan’s most renowned hot springs for a once-in-a-lifetime experience with the area’s famous snow monkeys, or Japanese Macaques. 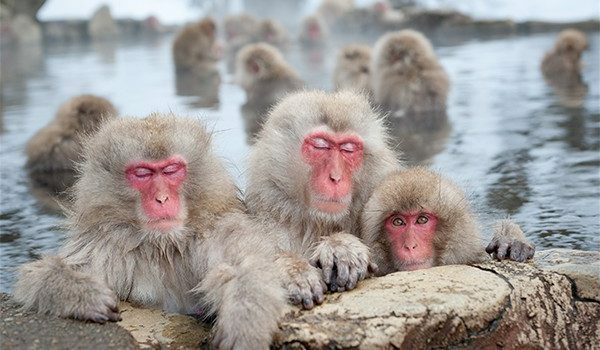 The monkeys here are famous for their love of lounging in the local hot springs, and at the Jigokudani Monkey Park you can observe this amazing and adorable phenomenon during the winter months when the monkeys need a little warm-up. During warmer seasons the monkeys don’t soak in the springs but you can still see the playful animals running around. Spend some time observing these amazing creatures before seeing the local village of Shibu Onsen, famous locally for onsen hopping, where Japanese people will visit a series of hot-springs, each known for a specific therapeutic quality. This town provides an insight into Japanese culture and local life, with very few foreigners to be seen. Next we’ll return to central Nagano, the gateway to the Japanese Alps and known around the world as a skiing destination and made famous by the 1998 Winter Olympics. Overnight in Nagano. Today, we will take a bus about 1.5 hours to Matsumoto through beautiful countryside full of tiny farming villages of less than 100 houses. 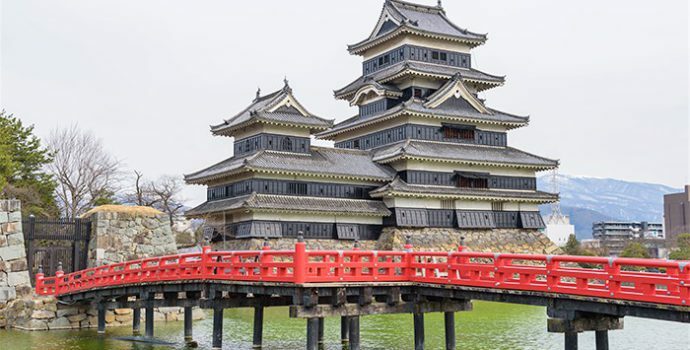 Upon arrival we will visit the stunning Matsumoto Castle, one of the last of its kind full of incredible history and intricate architecture. After the visit we will continue two hours by bus to Takayama in the pristine and quiet Gifu prefecture, famous for its peaceful nature and traditional small-town life far away from the hustle and bustle of Tokyo. We will take a walk to the downtown, full of charming traditional buildings. Not many shops are open at night in the sleepy countryside, but the view of all of the old-fashioned houses lit up can be enchanting. This area is famous for high-quality hida beef, and we will have the opportunity to try it for dinner at a local restaurant before staying overnight in a Buddhist temple. Overnight in Takayama. This morning we will enjoy a Japanese breakfast, and then take a walk to visit the Takayama market to see the locals doing their grocery shopping get a taste of the culture in the Japanese countryside. Discover vegetables and fruits unique to Japan and grown in surrounding towns at this market that has been a local mainstay for generations. At the end of the market, join your tour leader for a visit to a less-crowded Hida folk village. This afternoon we will visit a sake brewery to see how this traditional Japanese spirit is made, walking through the whole fermentation and distillation process with a small tasting at the end. Overnight in Takayama. Today we will take a bus about 3-4 hours winding out of the mountains and through lovely forested areas to Kyoto, the cultural capital of Japan. 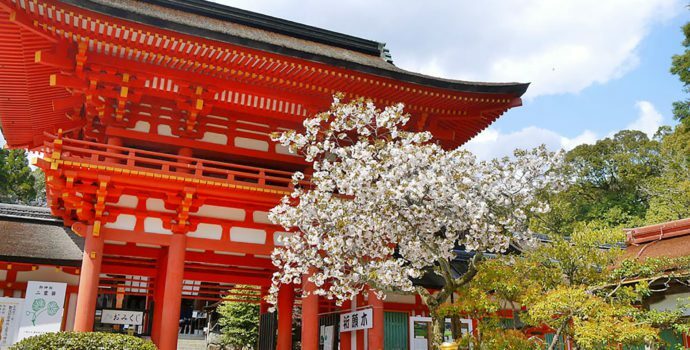 Get checked into your hotel before heading out with your group for a walk to the enchanting Gion area, where you will feel as if you’ve travelled back in time. 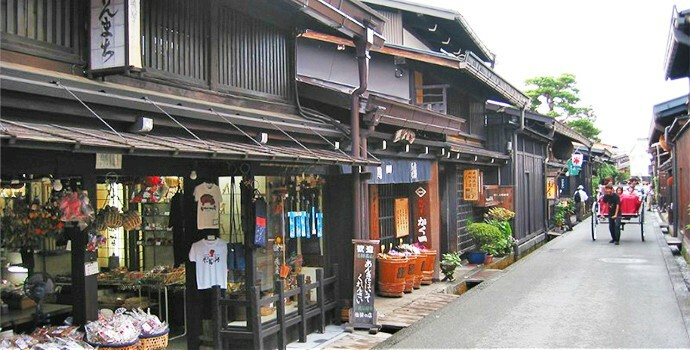 Walk through small lanes with traditional wooden houses in this cultural stronghold. If we are lucky you may witness a Geisha walking around the neighborhood, a truly stunning sight. This centuries-old Japanese tradition is still kept alive in this amazing city, unlike anywhere else in the world. Later, we’ll take a walk with the tour leader through the Nishi market where you can see the local produce and people doing their grocery shopping. Overnight in Kyoto. Utilizing Kyoto’s efficient public transport and a knowledgeable tour leader, we start today’s tour with the grand Nijo Castle. 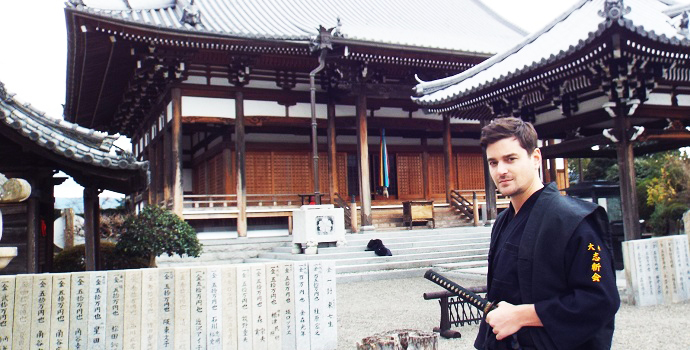 We then visit Ryoan-ji, famous for its UNESCO World Heritage zen gardens. You may find it nostalgic, as it has been featured in many movies and cited often as an inspiration by creators and entrepreneurs alike. 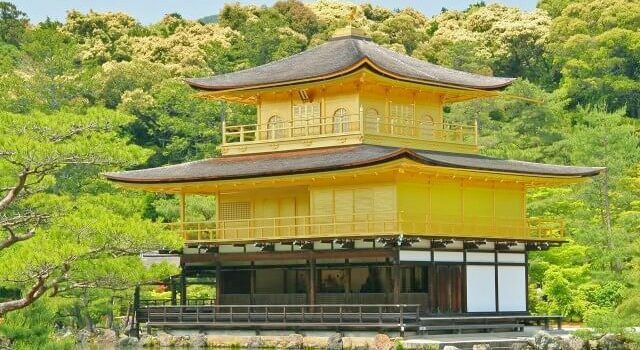 Afterward, visit the stunning Kinkaku-ji, a temple completely coated in gold. Next we will transfer to Sagano to take a walk through its breathtaking bamboo grove, admiring the amazing views of the mountains and imposing valleys. A gentle, 3 km walk will take you to Tenryu- Ji temple, which dates to 1339. Finish your walk by crossing over the famous Togetsukyo Bridge, overlooking at the gorgeous views of the hozu river. Overnight in Kyoto. Today, start the morning with a visit to the Fushimi Inari-taisha Shrine with its thousands of red gates, settled at the base of the Inari mountain. Then, you will join your tour leader on a day trip to incredible Nara. Nara was the 8th century capital city of Japan, ruling for more than 70 years. Numerous Buddhist temples and shrines were built, many of which remain intact today. Visit the highlights of the city such as the Isui Garden, set against a beautiful backdrop of Mt. Wakakusayama and the Todai-ji Temple. The Todai-ji Temple dates from the 8th century and was once the most important Buddhist temple in Japan. It remains the largest wooden building in the world. Next we’ll visit Kasuga Taisha, Nara’s most celebrated shinto shrine famous for its thousands of extremely friendly deer. Overnight in Kyoto. All good things must end. Today you will bid farewell to your new friends and take an express train to the Osaka airport in time for your outbound flight. We wish you a safe journey onward! Tokyo Afternoon Bike Adventure (min 2 people),Tokyo Evening Robot Show, Tokyo Sumo Practice Morning Experience (min 2 people), Hakone Free Pass, Kyoto Geisha Show, Kyoto Taiko Drumming Experience (min 2 people), Tea Ceremony and Samurai Kembu. Other Meals/Drinks, Tips, Personal Expenses, Travel Insurance, International Flights.